Is a sequel in the works?! 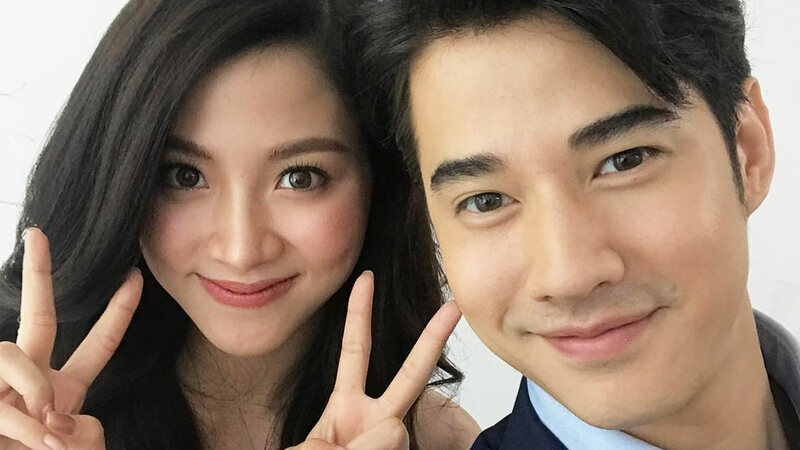 Thai hottie Mario Maurer caused quite a stir when he posted a photo of him and his Crazy Little Thing Called Love co-star Baifern (Pimchanok Luevisadpaibul) together, calling her by her character's name Nong Nam. His leading lady reciprocated and posted a similar photo, calling him P'Shone. Fans of the 2010 movie latched on to the posts that came out on June 29 and immediately started clamoring for a sequel to the romantic hit. Filipino fans and their Asian counterparts swooned over the on-screen chemistry between Mario, who plays popular nice guy P'Shone, and Baifern as Nong Nam, who effectively transitions from ugly duckling to graceful swan Nong Nam. The coming-of-age movie captivated local audiences and translated to high ratings when its dubbed version aired on a noontime slot on ABS-CBN. The popularity led to the pair visiting the country as Penshoppe endorsers in fully-packed fan cons, and with them starring in a Star Cinema movie, Suddenly It's Magic, with Erich Gonzales joining the two in a leading role. It has been eight years since Crazy Little Thing Called Love, and the question hangs—will they collaborate on a new project? Fingers are crossed for a sequel, but it was already so satisfying to see Mario and Baifern hit us with a heavy dose of nostalgia.